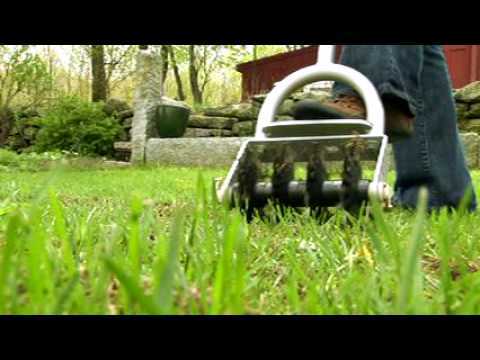 The Grass Stitcher is a simple tool that lets you inexpensively repair bare spots in your lawn quickly and easily. Its the revolutionary Grass Stitcher, the worlds first and only hand tool for fast, effective lawn repairs. My soil is very hard so I used the foot pad and used it according to the directions and the video on the website, it worked great. Repaired spots still looking great, it appears the seed embedded nicely and is doing very well! I live in SE TX & had to pull out some carpet weed from the St. Augustine grass, which was about to go dormant for the winter. The grass stitcher worked great with planting winter rye in the bare spots until the St. Augustine begins to grow again. I saw winter rye seedlings in 8 days after planting. Nothing to buy but seed. Thanks!